Learn how to understand, manage, and control your Unique Daily Element Reports. 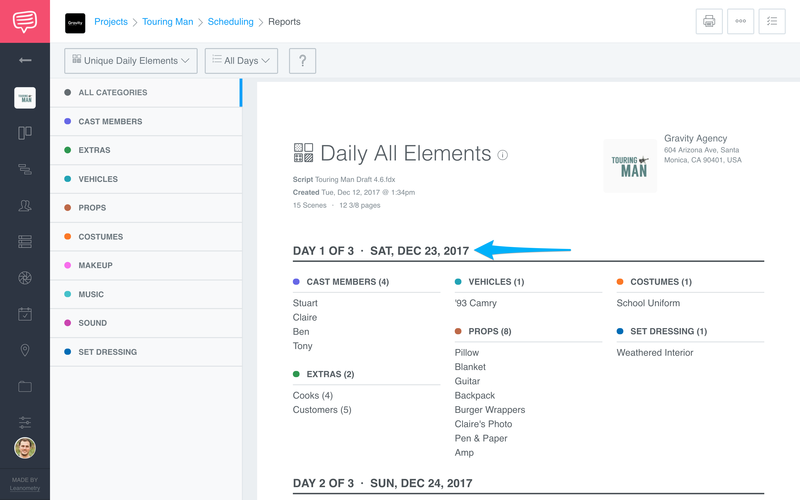 After you have imported your script and tagged elements, Unique Daily Element Reports provide a simple and clear overview of which elements are needed on any given day of your shoot. Navigate to Reports by using the drop down menu, and click Unique Daily Elements. 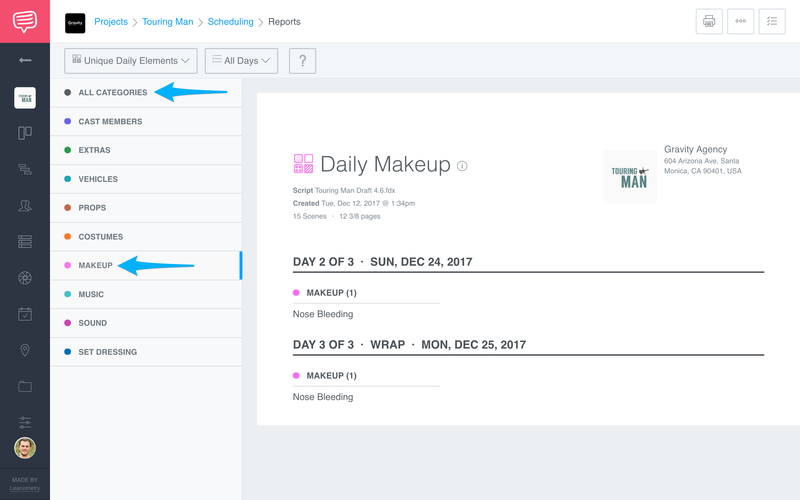 Unique Daily Element Reports are organized by Categories that can be viewed in the sidebar menu. Use All Categories at the top of the sidebar to view the entire report, or click a Category to view its specific report. A header displays the shoot day. 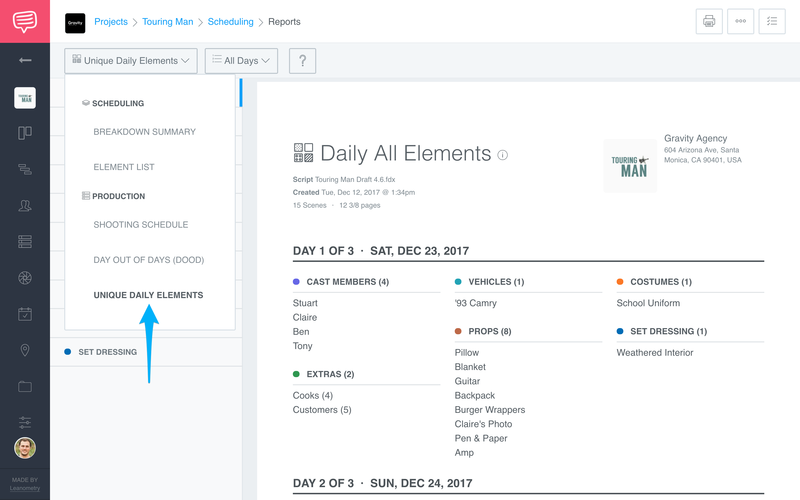 Below each day, StudioBinder will automatically generate and organize a list of your tagged elements by utilizing the data from your Shooting Schedule and Breakdown.